A Remarkable House, Unspoilt Countryside. Simple Luxury in Real France. Welcome to La Fraissinède. 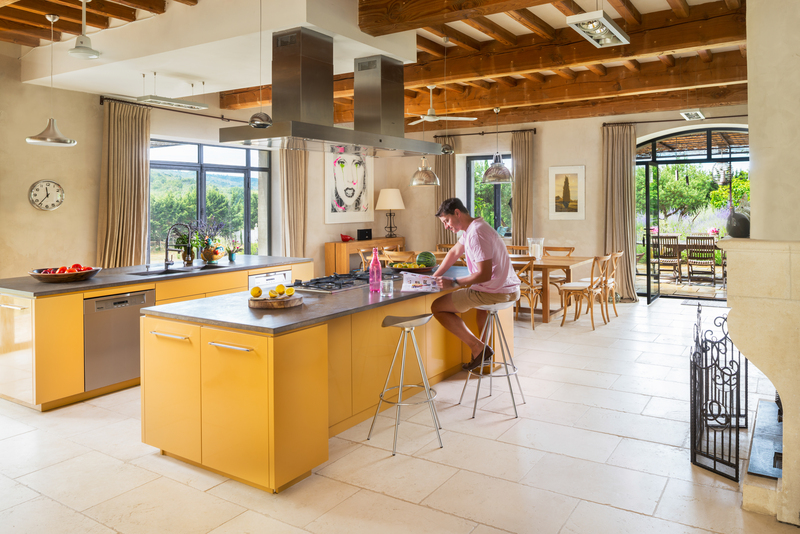 Lovingly built from an old Corbières wine store with open spaces and tucked away corners, this house is an exquisite place to enjoy time together or savour peace and quiet, all year round. The house is set in 120 acres in one of the most beautiful valleys in the Languedoc. The surrounding area is real, unspoilt France and offers a wealth of activities, sparkling Mediterranean beaches and the Pyrenees are close-by. Bags down, pour glass, relax – you’re here. This is simple luxury in real France; do everything or nothing. Cosy fires, games and brisk walks. "You have made it very hard to leave - we are coming back next year"
"Simply the most magnificent house in a beautiful spot"
"A sumptuous house, we loved the area - so much to do and see. Bertie the dog is a wonderful host!"